LG Microwave ovens are considered to be among the best and the most reliable in the market because these are equipped with advanced features from a reputable company and result in great cooking results. 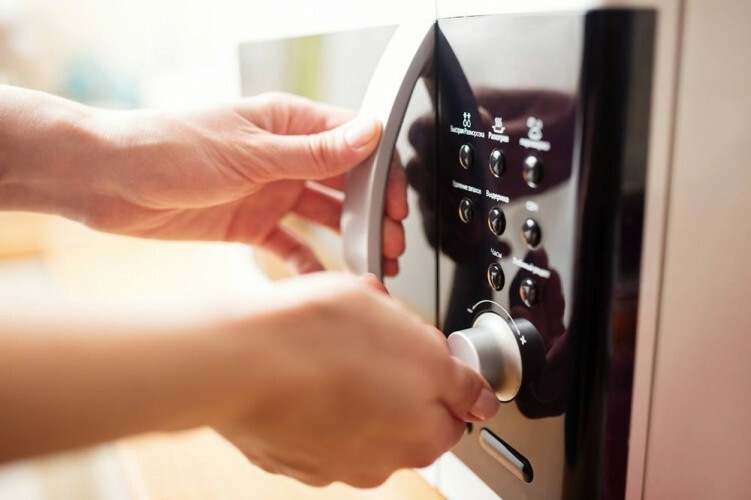 But as the company’s microwave product line continues to grow as more models are added to the lineup, consumers who are interested in buying the best ones are advised to research the features and benefits. Here we focus on 3 LG microwave reviews with 2 over the range options and 1 countertop model. 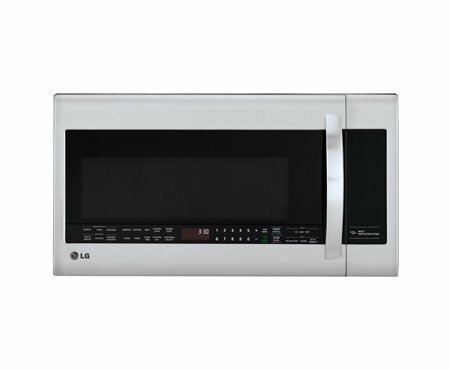 The LG LCRT2010ST Counter Top Microwave Oven, Stainless Steel is one of LG’s most reliable microwaves. This product is priced at roughly $225. The product has a relatively large size. Its dimensions are 23.9×19.2×13.6 inches and it weighs about 30 pounds. This product is made of premium stainless steel and features a curved interior design that maximizes its 16” turntable in order to accommodate larger round-shaped cookware. The product’s coated interior also makes cleaning more convenient and it won’t require the use of chemicals to keep it pristine. Furthermore there are no hard-to-reach areas internally. This model is also equipped with sensor technology which is responsible for sensing the level of humidity inside to automatically adjust the power level and cooking time. Finally, the TrueCook Plus technology allows the user to just enter the food inside and type in the food item code and let the microwave do all the cooking. Microwave cooking doesn’t come any easier than this. The LG LCRT2010ST Counter Top Microwave Oven, Stainless Steel is another bestselling model from LG. It offers a long list of advanced features as well as useful technologies. These are technologies that will be utilised daily rather than just once in a while. With 2.0 cubic foot of internal space this model provides ample cooking space which makes it ideal for larger families’ use. The LG LMV1683ST Over-The-Range Microwave Oven is also a bestseller. It is priced at roughly $235 with dimensions of 15.7×29.9×16.4 inches and a weight of 53 pounds. Just like its siblings, it is made of premium stainless steel and has a high-end design. The product’s door is made of sturdy glass rather than clear plastic and can be easily opened or closed in a snap. This product is blessed with a stable door handle that further makes the access to the microwave more convenient. The microwave also comes with a glass touch display that allows the user to determine the product’s current function and an intuitive keypad which can be locked to prevent accidental starts. The LG LMV1683ST Over-The-Range Microwave Oven is a good option for buyers who need a microwave that provides a convenient set of functionalities. It is also sold at a decent price and comes with a 1-year manufacturer’s warranty. 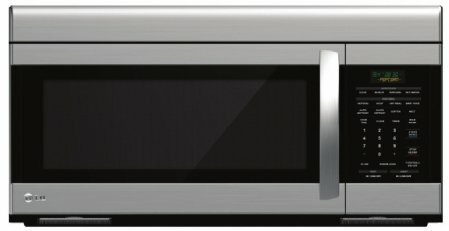 The LG LMVM2033ST Over-The-Range Microwave, Stainless Steel is one of the company’s bestselling microwave ovens. It is offered for sale with a price of roughly $320. Its dimensions are 15.9×29.9×16.9 inches and it weighs about 63 pounds. The product comes with a straightforward yet decent-looking exterior. It is made of high-grade stainless steel which makes the device more resilient to stains and rust that might result from continued use. The LMVM2033ST features a solid construction characterized by a sturdy glass door that can be easily opened by pressing a button. A stainless steel handle is a nice feature on the oven’s door and this further makes the opening and closing an easy action. A glass touch display is found on the oven’s right side and this is responsible for displaying relevant information needed when the device is in use. The LG LMVM2033ST Over-The-Range Microwave, Stainless Steel is a good option for buyers who are in need of a microwave that provides more interior space since this provides about 2.2 cubic feet of cooking space along with a 1000-Watt cooking power. It also features straightforward controls and an easy to clean design. Which Of These LG Microwave Reviews Reveals Our Winner? The LG microwave ovens reviewed above are absolutely the best in their class. 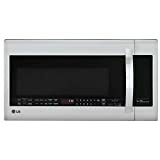 Among the three, however, the LG LCRT2010ST Counter Top Microwave Oven proves to be the most logical choice for it offers more advanced features at a decent price. Specifically the built in sensor technology makes cooking all manner offoods a breeze. The cleaning function is also a great time saver. The LG LMV1683ST Over-The-Range Microwave Oven provides less cooking space but is arguably the second best option given it’s great looks and premium build quality. It’s still a powerful model and worthy of consideration, the reheat and auto defrost functions are particularly useful. Finally, the LMVM2033ST Over-The-Range Microwave, Stainless Steel is the third best option in this test since it is a little pricey compared to the other two and doesn’t really build on the feature list. You will like the roomy interior though perfect for cooking larger food types and also the coated interior makes cleaning easier.